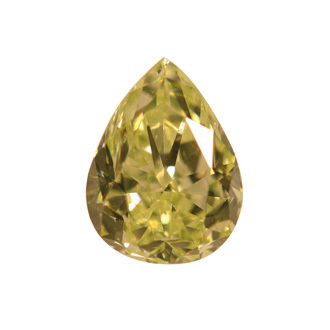 The Pear Fancy Yellow Green Diamond is so beautiful. The shape as well as the colors yellow and green are so delightful with a shine that you will never imagine. The diamond offers good polish and symmetry and weighs 1.07 carat. The measurements is 7.32x5.55x3.70, so it would be perfect for any jewelry item.